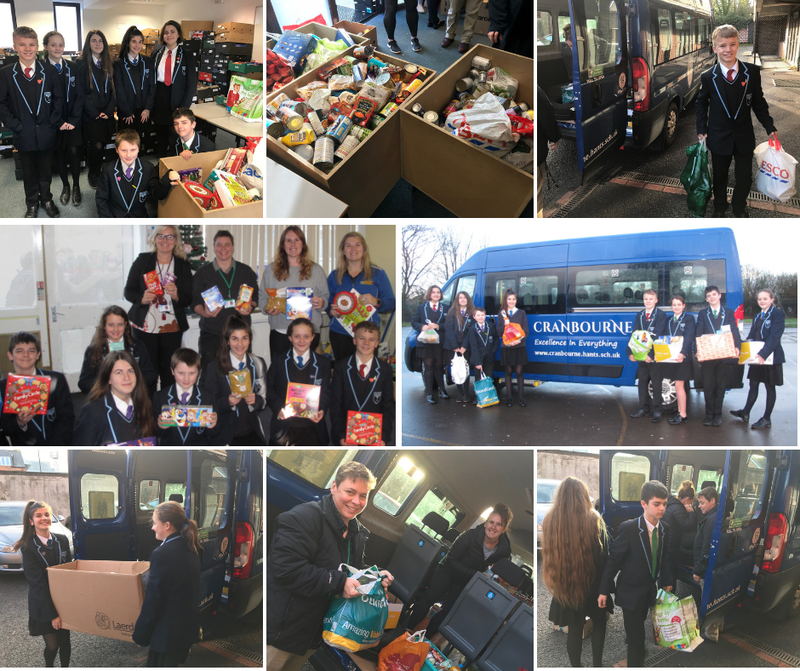 Cranbourne School students today loaded up one of their mini buses with foods and presents for Basingstoke Foodbank, ready for Christmas. The Heads of Houses, who had delivered assemblies on random acts of kindness were convinced by students to extend their acts of kindness beyond the school, into the community, and support Basingstoke Foodbank. The random acts of kindness began with simple things such as a friendly smile or a short message written to someone in school and then led to kind acts in the community, such as litter picking and smartening up the local community areas. Miss Clark, Head of White House, suggested collecting for the Food Bank and the whole school got inspired. The school has been collecting for three weeks and on Friday’s suspended timetable day, with a focus on community, the collections for the Foodbank poured in. The success of this project confirms Cranbourne’s determination to be “a school at the heart of its community”.